Following the 88th edition of the Japanese National Boxing Championships another activity was held in the country which will be hosting the Tokyo 2020 Olympic Games. 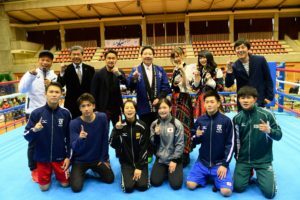 Japan Boxing Federation arranged three exhibition contests to promote our beloved combat sport in the country which promotional bout were taking place in Nakano-ku. Nakano-ku’s honorary boxer and most famous person in our sport, former WBC World Bantamweight Champion Mr. Shinsuke Yamanaka also attended in the exhibition and promotional contests. Reo Saito was quarter-finalist in the St. Petersburg 2016 AIBA Youth World Boxing Championships and proved his technique and footwork are excellent. The 20-year-old boxer was knocked out by a newcomer boxer in the Japanese National Sports Festival two months ago and that loss is a great motivation for him. 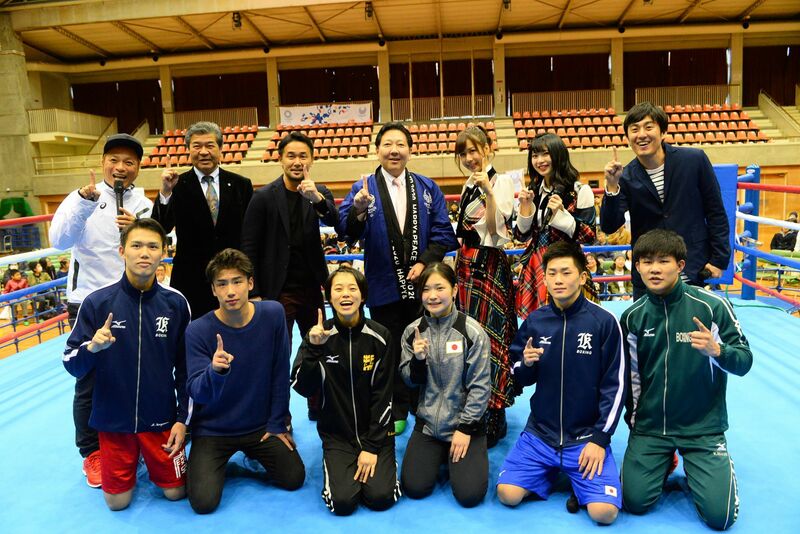 Saito fought with FISU University World Boxing Championships quarter-finalist Junya Shimada in the exhibition bout. Tsukimi Namiki is Japan’s new female boxing hero who claimed bronze medal in the New Delhi 2018 AIBA Women’s World Boxing Championships short after her 20th birthday. The super talented flyweight (51kg) boxer was also involved to the promotion and boxed with former High School National Selection Tournament winner Ri Sakashita who moved up one category in the recent one year. Rentaro Kimura is Japan’s top lightweight (60kg) boxer’s Arashi Morisaka’s main national rival who claimed silver medal in the Asian Games Test Event and bronze in their last local championship. The 21-year-old boxer had a superb contest against a 19-year-old talent Shunsuke Kanyama who took silver medals in the high school events in 2017. Japan attended in the Jakarta 2018 Asian Games but their young team claimed only one bronze medal in the Indonesian capital which was below their expectation. Japan’s national boxing team has been preparing to the Tokyo 2020 Olympic Games where their young team could be a top sensation.